Choose Your Alpaca Market Niche | Alpacas of Montana, Inc. | Born, Shorn and Worn in the U.S.
Alpacas come in two kinds, 23 colors, many quality levels, young, old, and are priced from inexpensive to expensive. There is a perfect alpaca for everyone no matter what their preference. This is both a delight and a dilemma. One of the most critical decisions an aspiring alpaca breeder can make is what kind of alpacas to raise. 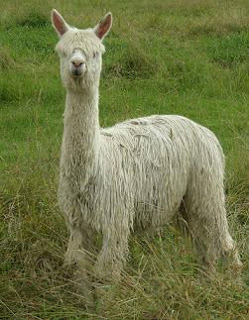 There are two types of alpaca, Huacaya (Wa-kee-a) and Suri (Sur-ee). Huacayas are the “teddy bear” alpaca, whose full coat presents a round and soft appearance. The huacaya fleece is crimped, very dense and covers all 22 colors recognized by AOBA (The Alpaca Owners and Breeders Association). Huacayas account for approximately 90 percent of the alpacas registered in the United States. 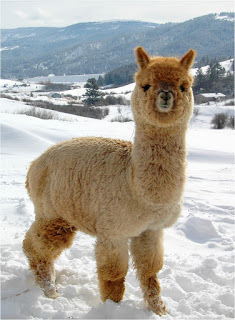 Alpacas of Montana raises Huacaya alpacas. 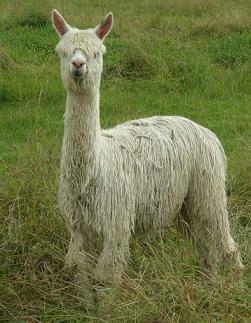 Suri alpacas have long dreadlocks. In full coat, these long, non-crimped, lustrous “pencils” hang downward, creating a layered and majestic appearance. Suris are rare worldwide, with only approximately 10,000 registered in the U.S. The first choice that needs to be made is will you breed suris, huacayas, or both? If you breed both, you must realize that eventually you will need twice as many herdsires. It also means that you will probably have a larger herd. I recommend you buy what stirs your emotions. Suri fiber is reportedly harder to process within the fiber mills, so you may want to take this into consideration. Also, we felt the suri was a niche within a niche when we started, so we decided to go with huacayas. However, there are many successful farms raising suris. Beyond the breed you decide on, you should consider what colors you want to breed, whether you want to breed show stock, pets, or production females. All these categories have a price point. The lower the average price of your alpacas, the larger the market will be. The key issue to consider on price is your ability to sell the females’ cria that you produce for the same price that you paid for the mother. In any case, you should think carefully about what type and price of alpaca you want to raise because this decision will impact your budget and your marketing approach. These decisions are every bit as important as how many alpacas to buy and what barn to build.